john could you host a meeting on this or other ideas for celebrating joy of music and cultures locally worldwide? behind the scenes of our city's most beloved annual public art project! The Sing for Hope Pianos, the country's largest recurring public arts project, reaches an estimated 2 million New Yorkers and visitors each year. This summer, we will mark the sixth anniversary of the Sing for Hope Pianos with the placement of our 400th artist-designed piano to date, making NYC host to more street pianos than any other city in the world. Please join us for an an exclusive, private kickoff event for the 2017 Sing for Hope Pianos at the Fosun Sing for Hope Center at the landmark 28 Liberty in Lower Manhattan. This year's playable masterpieces have been created by artists including Kate McKinnon, Roberta Flack, Billy the Artist, the Broadway casts of Aladdin, Beautiful, Cats, Chicago, Lion King, Phantom of the Opera, School of Rock, and Natasha, Pierre & The Great Comet of 1812 — and many more. Celebrate with us as we unveil this year's Sing for Hope Pianos before they hit the streets, enjoy pop-up performances by special guests, and join us in raising a toast to creativity, summertime, and our great city. Sing for Hope transforms lives by mobilizing artists in service to bring the power of the arts to those who need it most. Learn more here. 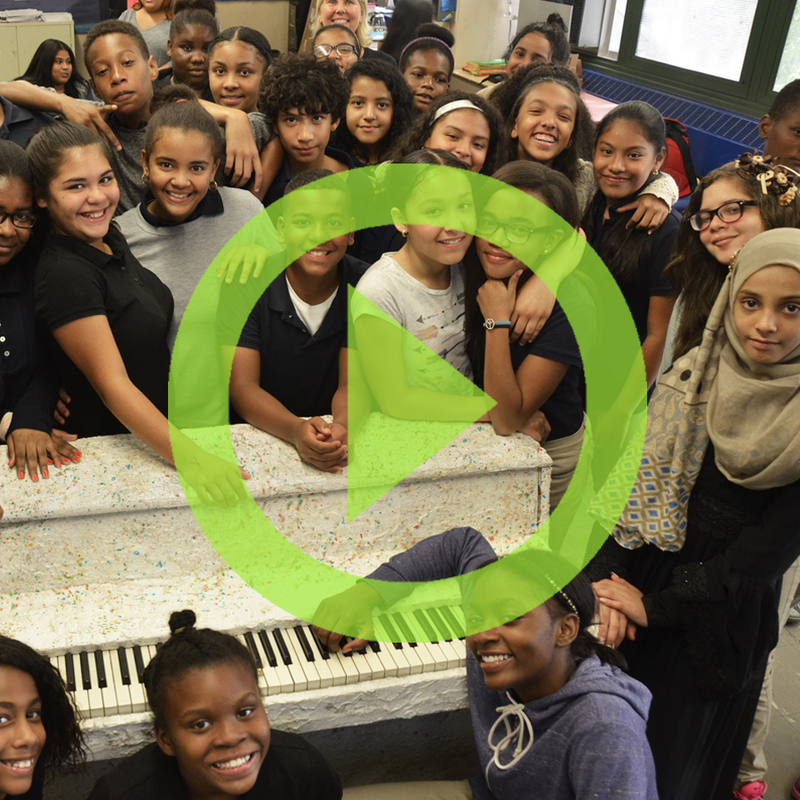 Thanks to our partnerships with New York City Parks and the New York City Department of Education, once again all of the Sing for Hope Pianos will move from the parks to permanent homes in our city schools, reaching an estimated 16,000 students in 2017. Please RSVP by Friday, April 28. Limited availability. This invitation is for you and a guest. Please bring a valid photo ID with you to check-in with Sing for Hope's front of house team in the main lobby of 28 Liberty. The Fosun Sing for Hope Center is located on the 28th Floor of 28 Liberty, located between William and Nassau Streets. Please enter via the plaza level entrance closest to the Jean Dubuffet statue. The 2017 Sing for Hope Pianos are made possible by the support of Fosun International and 28 Liberty, The Sing for Hope Founders’ Circle (The Arnhold Foundation in loving memory of Sissy Arnhold, The Thea Petschek Iervolino Foundation, The Anna-Maria & Stephen Kellen Foundation, and Ann Ziff), and the generosity of donors like you.